At The Container Store, we spend most days and nights dreaming up the best products for you and your needs - to give you time back in your life and calm back in your mind. From the very beginning, we've always incorporated multifunctional products into our collection. Products that can be used in a variety of ways no matter the area of home or part of your life. And you've always looked to us to help you brainstorm what solution is right for you - sometimes a product from the kitchen section is perfect for your bathroom, sometimes visa versa. The name of the product might say ‘craft storage', but it can always be used for so much more, and it's amazing what a little imagination can do! 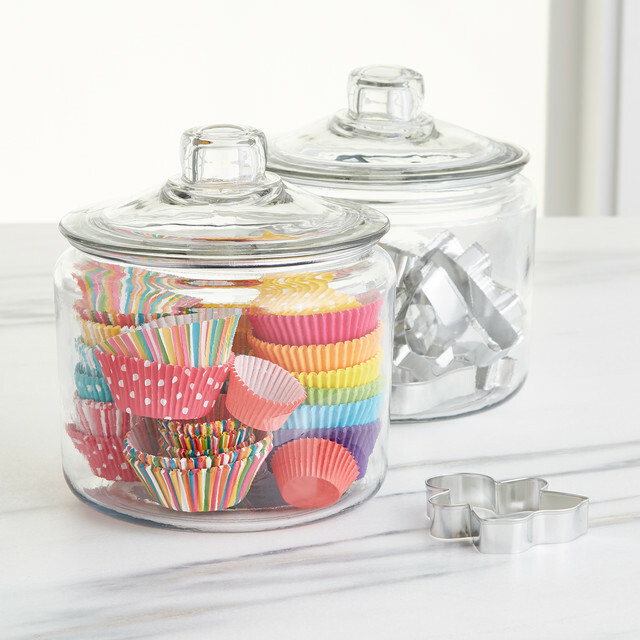 Our best-selling Glass Canister is such a great example of that. 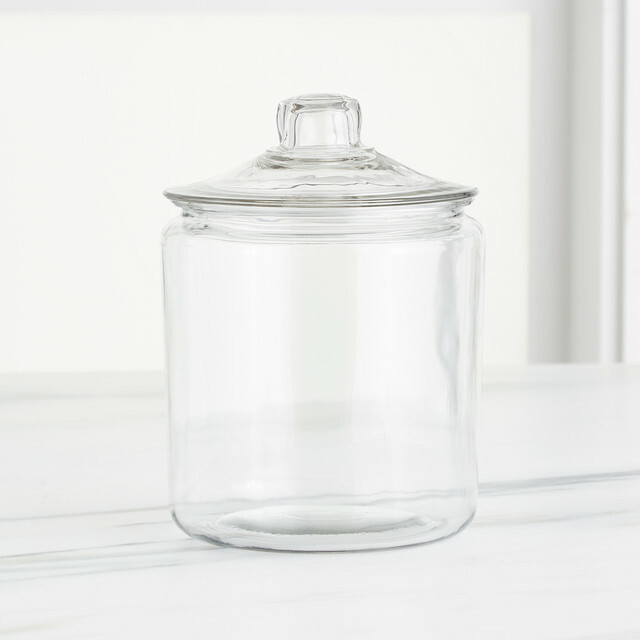 We think you'll be inspired below with our takes on this classic, clear container! Check back often on the blog as we show you how one product can have a myriad of storage and organization personalities that are all so perfect! It's a beautiful product that we've carried in our stores for years and years. Sold in three different sizes, they've traditionally been used for flour, sugar, coffee and the like, but we've dreamt up (with the help of you through product ratings and reviews and posts on social media) a few other ways to utilize this piece! 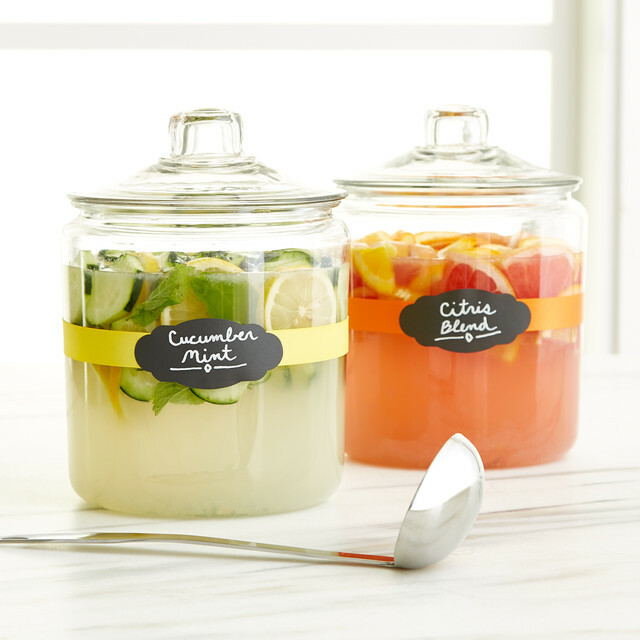 Keep your guests refreshed at get-togethers, showers, birthday parties and more by using our Glass Canisters to store creative cocktails and refreshing mixes! Use some of our Chalkboard Labels to let them know what you've concocted. 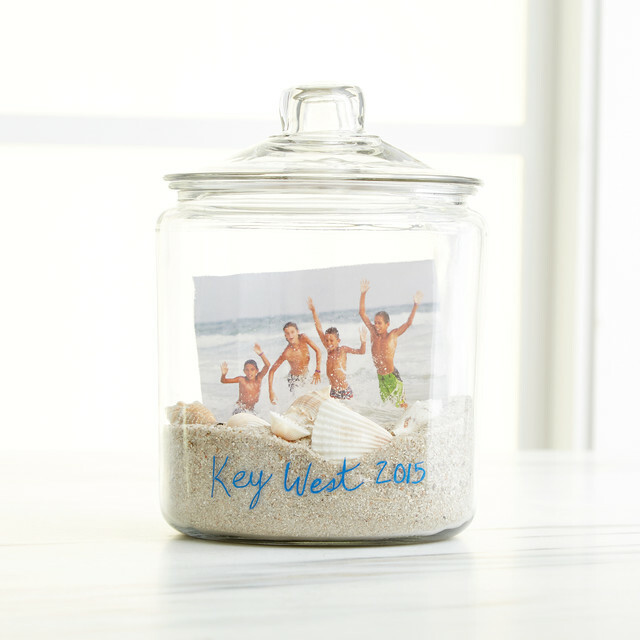 Display the memories with a unique twist by utilizing the clear glass to show keepsakes, pictures and more. Use our chalk markers to create a piece your friends and family won't soon forget. 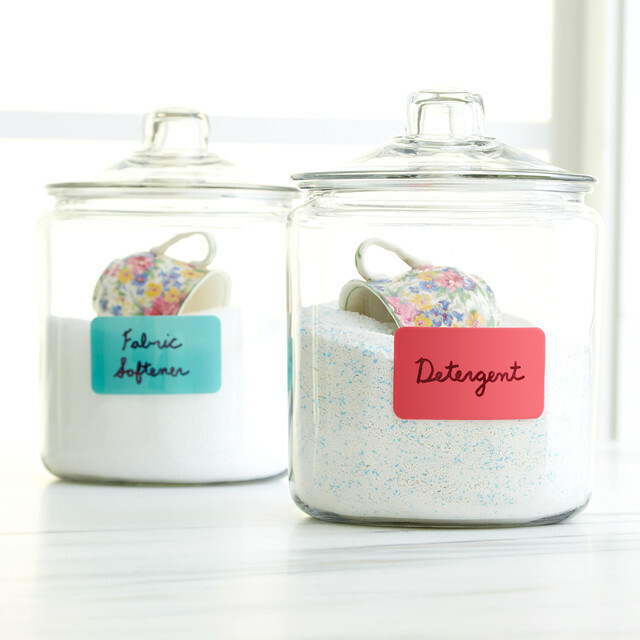 Make your laundry room fresh, clean and stylish by using our canisters to store detergents and fabric softener. Their lids make them a breeze to lift, scoop and shut! Shop Dry Erase Silicone Labels here. 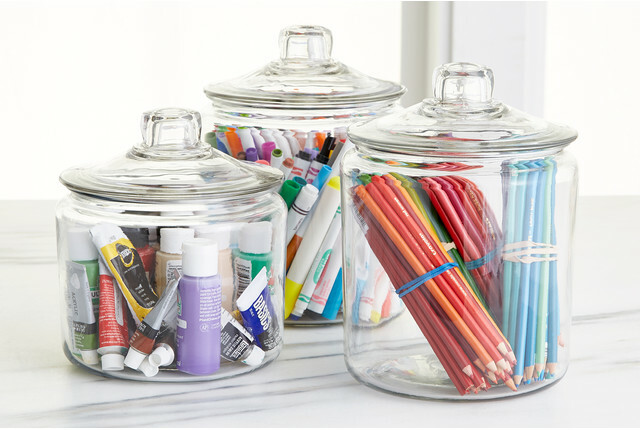 Keep the craft room crafty and clean by organizing colored pencils, markers, stamps, paints and more! When it comes to design time, the lids make everything easy to access. 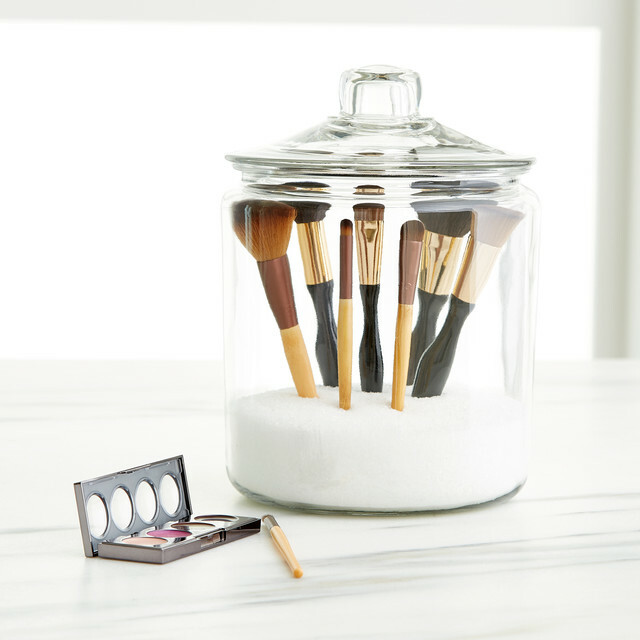 Keep your beauty looking top shelf by creatively storing your brushes upright with some craft microbeads at the base, or compacts out on the counter and on display. Cook up a creative upgrade by storing kitchen necessities and accessories out on the counter in our Glass Canisters for easy access and beautiful display. 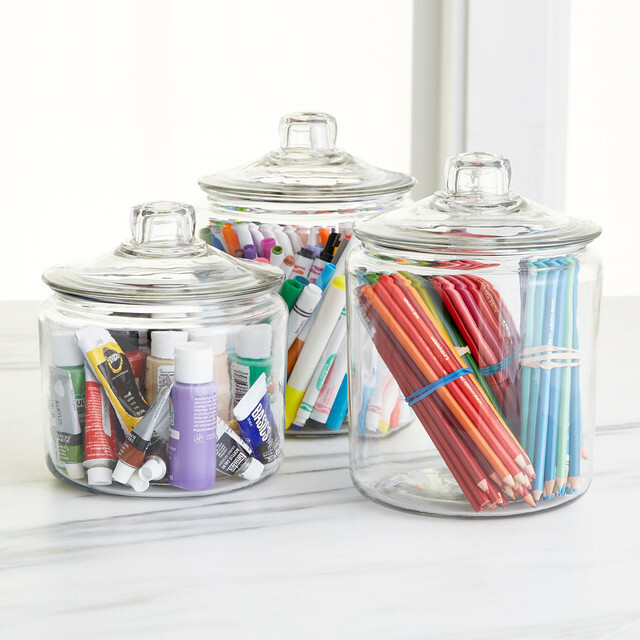 Have more ideas on how to use our Glass Canisters? Let us know in the comments and look out for our next featured product.